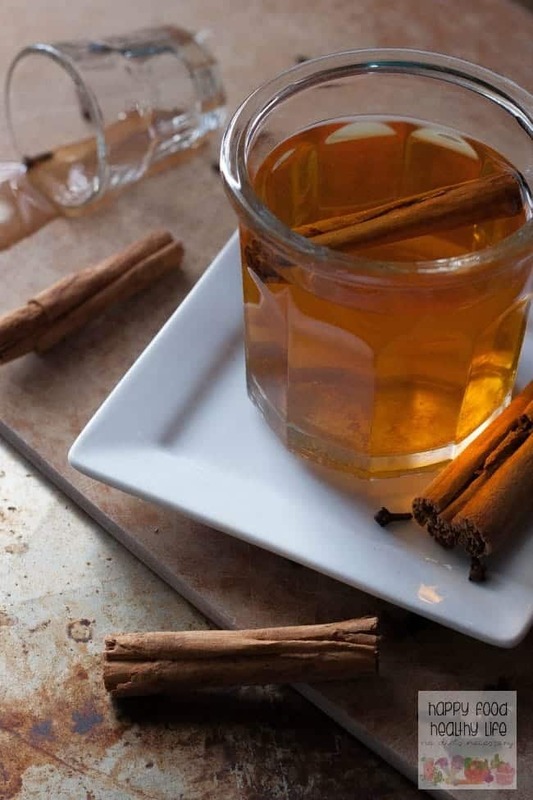 This Boozy Apple Cider is the best hot drink you’ll make this year. It only takes a few ingredients, 15 minutes, and can even be customized for kids as a non-alcoholic beverage if you need! All year long. I literally look all year long for the best warm beverage that will keep me warm in the winter months. I know. It sounds ridiculous, but it’s totally necessary. I mean, if I could, I’d drink coffee all day and night long, but then I’d never sleep. And hot chocolate. Well, that’s just a dessert in a mug, and I don’t need that every single night. But I am cold every single night from about November to March. I try dressing in layers. I put on hoodies, scarves, and boots inside. Sometimes even gloves. I cuddle with my wife. I use a heating pad. So many things I have tried. But there’s really nothing better than having a mug of something warm in your hands where the steam can get right into your face. If I could find something that keeps me toasty, only requires a few ingredients, and preferably a shot or two or of the hard stuff. Well, then I’d be golden! 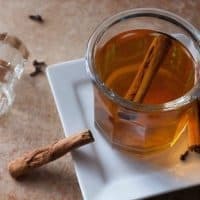 In the past, I have used those hot apple cider packets and added different spiced liquors. Butterscotch. Cinnamon. Caramel. All the good ones. But I just never loved the idea of using a powdered drink mix. When I found this recipe, realized just how easy it is, and also realized I could store the leftovers in the fridge for any time the chills hit (ie every night of the winter), I was sold! So I had to make you a video just so I could show you just how sold I was! If you liked the video, make sure you head on over to my channel so you can subscribe! I wouldn’t want you to miss any of the action. Hot. Boozy. And oh so dreamy. Cozy up with this mug-ful tonight! In a large pot, add all ingredients. Simmer on low to medium heat, not quite letting it bowl, for about 15 minutes. Alternately, you could place everything in the slow-cooker. If you want to serve the entire beverage alcoholic, you can add the butterscotch liquor right into the pot and let simmer. 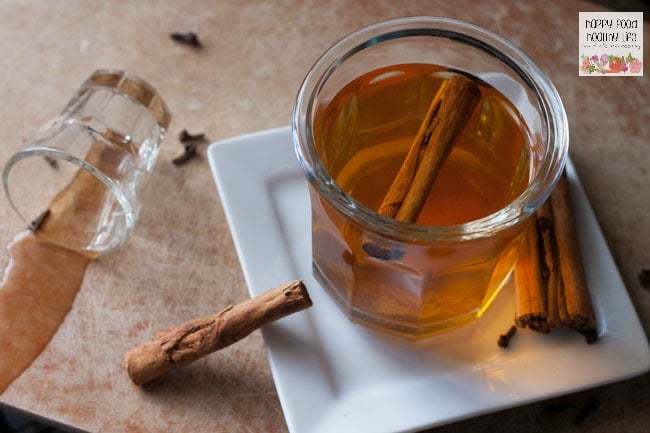 If you are serving to a mixed crowd, pour 1-2 ounces to 8 ounces of apple cider mix. Oh, yea. This is definitely on my must try list. Thanks so much for sharing your recipe with us at Merry Monday.